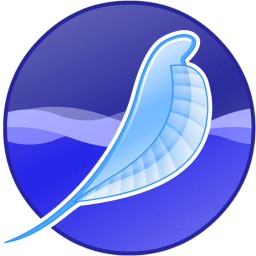 Mozilla SeaMonkey 2.49.2 is an all-in-one internet application suite: tabbed web-browser, advanced e-mail and newsgroup client, IRC chat client, and HTML editing made simple – all your Internet needs in one application. Containing an Internet browser, email and newsgroup client with an included web feed reader, HTML editor, IRC chat and web development tools, Mozilla SeaMonkey is sure to appeal to advanced users, web developers and corporate users. Powered by Mozilla Under the hood, SeaMonkey uses much of the same Mozilla source code which powers such successful siblings as Firefox and Thunderbird. SeaMonkey has inherited the successful all-in-one concept of the original Netscape Communicator and continues that product line based on the modern, cross-platform architecture provided by the Mozilla project. The Internet browser at the core of the SeaMonkey suite uses the same rendering engine and application platform as its sibling Mozilla Firefox, with popular features like tabbed browsing, feed detection, popup blocking, smart location bar, find as you type and a lot of other functionality for a smooth web experience. The Mail and Newsgroups client shares lots of code with Mozilla Thunderbird and features adaptive Junk mail filtering, tags and mail views, web feeds reading, tabbed messaging, multiple accounts, S/MIME, address books with LDAP support and is ready for both private and corporate use. If that’s still not enough, SeaMonkey can be extended with numerous Add-Ons that provide additional functionality and customization for a complete Internet experience.